Mini Carousel Ride twelve chinese zodiac signs ride is a brightly Coloured, luxurious children’s merry go round for sale. It's suitable for kids above 3 years old. Vivid color and funny music can attract children's attention. Colorful LED lights make it looks very beautiful and charming in the night. When the ride start to working, the fiberglass horses will go up and down gradually, this make kids feel like riding on a real horse. 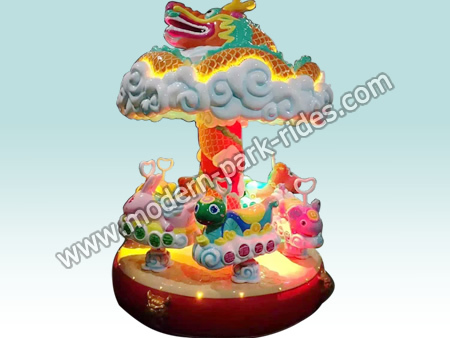 Mini Carousel ride is popular in amusement park, shopping mall, indoor playground, fairground, etc.